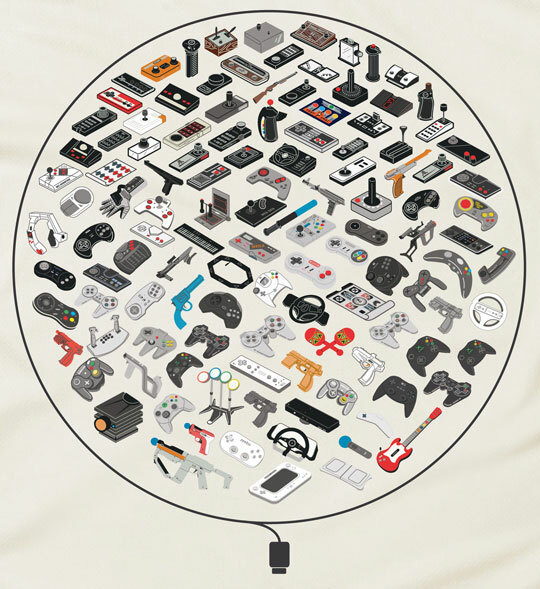 This latest creation features 60 years of video game controllers. How many of these have YOU used? Head over to their site HERE to order your own tee and follow them on TWITTER. This entry was posted in Apparel & Footwear, Art and tagged Gaming, Pop Chart Lab, tee shirt, video game controllers, videogames. Bookmark the permalink.